A three-dimensional design with a highly raised rubber wrestling theme. The medal comes with a free 7/8 x 30 inch v-sewn neck ribbon or pin drape. * Extra engraving options at an additional cost. 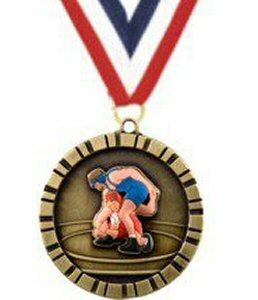 This medal is available in gold only.